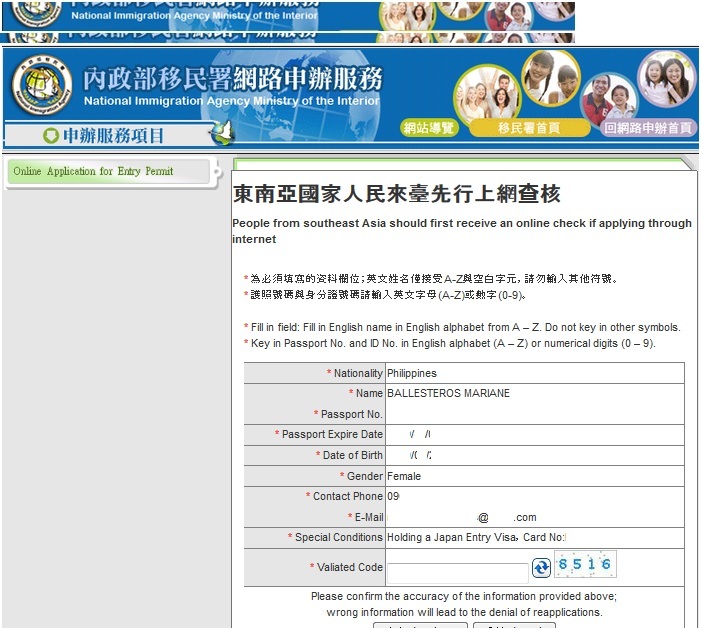 How Filipinos Can Travel to Taiwan Without Applying for a Visa! How can you say that Filipinos can travel to Taiwan visa-free? Aren’t we required to have one? This is exactly what my friend replied to me through Facebook when I told him I won’t need to secure a Taiwanese Visa. How is this possible you say, it is thanks to the Taiwanese Government who allow tourists to enter the country using a Travel Authorization Certificate. This is just not applicable to Filipino citizens, but also those from India, Indonesia, Myanmar, Vietnam, Cambodia and Laos! If you still won’t believe me, then you can visit the official sites of the Taiwan Ministry of Foreign Affairs message from Taipei Office in the PH. I wouldn’t have known about this if not for some helpful advice in the Filipino forum that I seldom visit, so it really pays to do some research. What is a ROC Travel Authorization Certificate? For Taiwan, this is an entry permit that allows you to enter the country without requesting for a tourist visa at the Consulate. 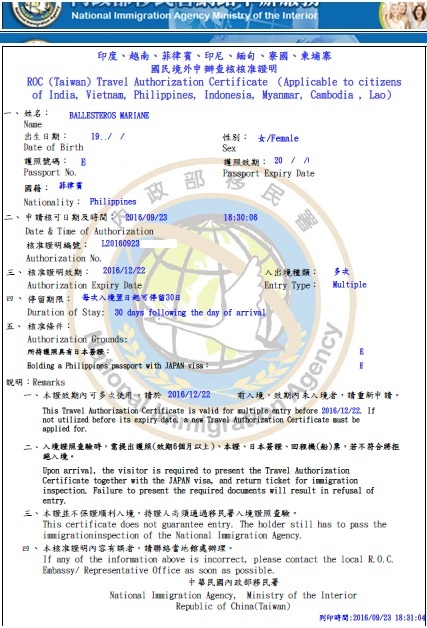 It is basically just a printout with your personal details such as Name, birthdate, passport number, authorization number, expiry date and entry type to Taiwan, duration of your stay, and other important remarks vital to the traveler and to the Immigration officers. 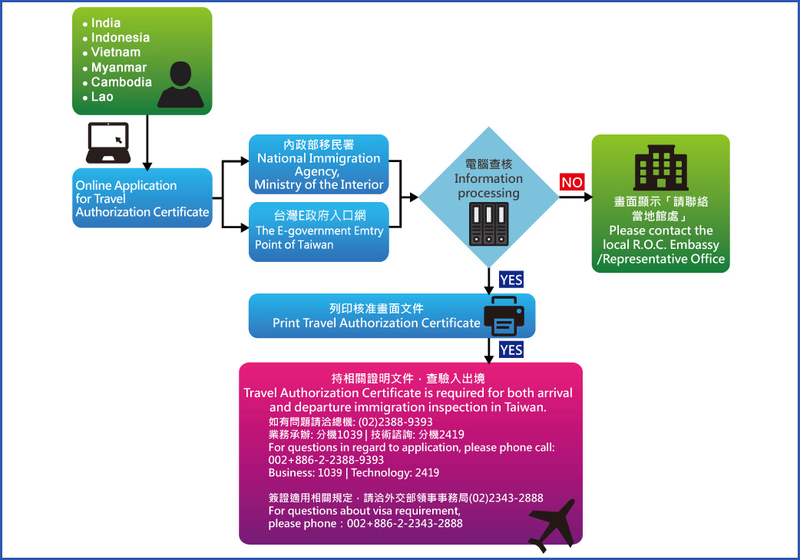 You are authorized to use the certificate for 90 days and permitted to stay in Taiwan for as long as 30 days. Multiple entries is also allowed within the validity period of 90 days. Lastly, this is certainly not a study/work/residence permit, so if you intend to visit Taiwan for these purposes, it is best to apply for the appropriate visa. Am I eligible for a ROC Travel Authorization Certificate? I’m really surprised that even expired visas are accepted! It’s still useful folks, so don’t lose your old or expired visas/PR cards! 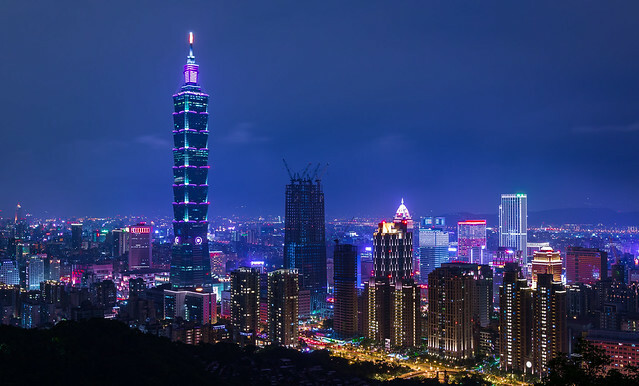 I see that there are lots of click bait articles going around how you can now travel to Taiwan visa-free, technically, it would still require you a visa as previously mentioned, but you are not required now to apply for a TAIWAN visa specifically. You can do so by visiting Taiwan NIA (National Immigration Agency) website. If you’re not certain what to do, these are the step by step process. Next page is a short workflow of the process which is very easy to understand. If you are rejected for applying, you need to contact the local ROC Department Office. Click Next to proceed. Next page is a detailed run through of all the requirements and eligibility guidelines. This is a vital part to input all the details, double check all before clicking submit. You need to specify whether what you have is a Resident Card or Entry Visa such as Tourist, Business, etc. You’ll need to also indicate which country it is and the visa/card number. For US visa holders, I was told the control number can be used. 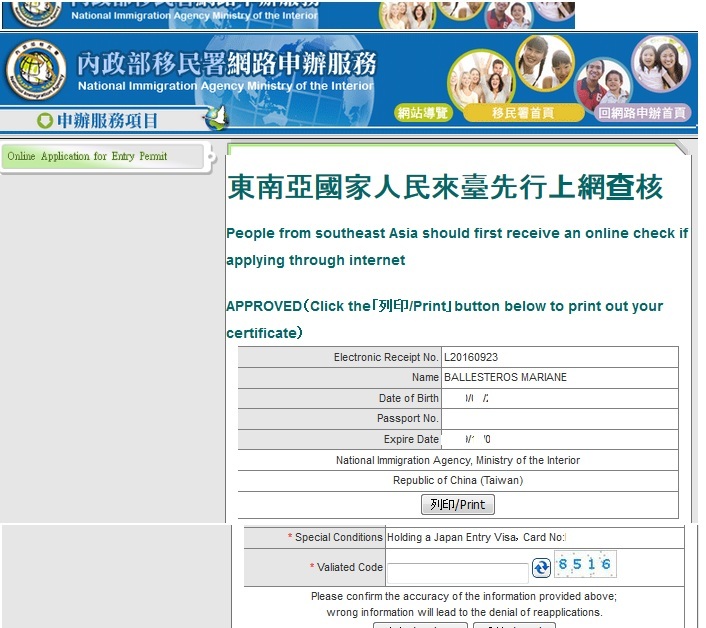 For Japan Visa, the number specified in the upper right corner will do. For South Korea visa, use the number located in the upper right corner as well (the one with PH prefix). For expiry date of PR cards, you can key in 9999 for year, 12 for month and 31 on the Date field. Last is a review of all the information you submitted. Finally, the system will automatically check if you have followed all the rules. You’ll know once you click submit if your certificate is ‘Approved’. You can click print to download a soft copy of the form in PDF form. I knew about this certificate around August, and considering that my trip is on the first week of November, I already thought of applying for a Japan Visa since at that time, South Korea was not included in the list of countries and the eligibility for expired visas was not yet considered, so this update was only added around the first two weeks of September, and by then, I was already granted a visa to Japan. Nevertheless, I guess I feel more secured having a valid Japan visa than showing the expired Korean visa. I printed one copy of the Travel Authorization since I need to show this to Immigration officers in The Philippines and in Taiwan. I also saved the pdf copy in my phone just in case. It seems like not all Cebu Pacific airline staff are aware of this policy so checking in took some time since they still had to confirm this with their superiors. But had no problems whatsover with the Immigation staff on borh countries. No questions as well as to why and what I will be doing for 16 days. Surprisingly, there was no sticker on my passport, only a small stamp that I am allowed to stay for maximum 30 days in the country. What if I don’t have any of the required visas/documents? Unfortunately, you have to apply for the visa. It is up to you to which country you’ll choose. Confusing, no? It says above that as long as you have a valid entry visa in aforementioned countries, you’re still good to go. You can follow what I did and apply for a visa to South Korea or Japan, since these countries have the easiest requirements and process for us Filipinos. 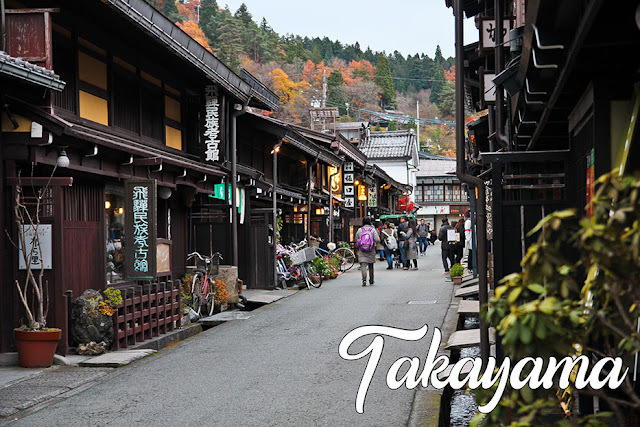 You may read more here on the step by step process of easy visa tourist visa application to Japan. The good thing about this is you can still use that other visa if you choose to, and visa fee application for these countries is cheaper than applying for the actual Taiwan Tourist Visa. Requesting for a South Korea Visa is free and Japan Visa agency fee may range from 800-1,500 pesos, as compared to Taiwan Visa which is more than 2,000 pesos. My visa is electronic, what do I do? Print it out or have a soft copy in hand with you so you can show it to Immigration, they would most likely be looking for it. My expired visa is in my old passport? Bring it with you, you need to show it to Immigration. They wouldn’t know looking from your new passport that you’ve been granted visa to the countries specified by Taiwan. I misspelled something on the online application and it shows in the certificate! You can submit a new application. Just a tip, double check all the information days before your departure. But I want a Taiwan Visa in my passport! This is just a good option, nobody’s forcing you. lol But I agree, it’s fun to see the collection of visas in your passport, but consider if it’s worth the hassle and time to apply for a visa knowing you can travel using the Authorization Certificate. Also, you are allowed to stay longer, 30 days! The Single-entry Taiwan Tourist Visa only allow maximum of 14 days. That alone is convincing enough for me. If you still want to apply and you are already on your way to The TECO office in Makati, most likely the officers there will still recommend you to just get the travel certificate if they see you have the appropriate requirements instead of applying for a visa. What do I need to do after applying online? Print out your certificate, you would need to show this to Immigration. I recommend having a soft copy and a print out of course. As per the website, “Entry will be denied if the required documents are not produced.” Be warned. Just a tip, double check all the information days before your departure. <- Yes, yes, yes! We were running late (last call!) for our flight to Taipei and my friend's visa number on her printout was wrong. We had to scramble to get her to fill out the form again (good thing another friend brought her laptop and pocket wifi), then had to run from the checkin counter to the boarding gate which was the last gate! Hello! Can i use my used single entry korean visa to apply for a travel authorization certificate? Good thing I came across this post. I also have a Japan visa and used the issue number (center) instead of the one on the upper right corner of the Japan visa as you stated. My flight is on Thursday and so I would have to do the online form again. Question. My Japan visa says it expires on Feb 14, 2017. I can still use this, yes? I am the world's greatest worrier and so I worry a lot about these things. Hey Mikko. When is your trio to Taiwan? But regardless, you can still show your JP visa. I'd print out an announcement from the TECO website stating that expired visas can be used just to be sure (in case your trip will be after your visas expiration). Most likely no questions will be asked by TW immigration, but if you are coming from Manila, some staff are still not aware of this policy. Good thing someone asked this in the comments section. I applied for the Travel Authorization Certificate literally just now but I realized I put the wrong entry visa number, which is printed on the certificate already. I used my US Visa (which is in my old passport since my US Visa has 10 year validity) and accidentally placed my expired passport number instead of my US Visa number. Can I simply apply for a new Travel Authorization Certificate again, even if I've already submitted a previous one? :) I'm too paranoid haha. Hi! Yup.. you can literally just create a new one everyday. In my experience, officials only look at the paper you will present and they wont look at their system to double check. Of course, the visa you have indicated will bw verified as well. Hi, can I apply for TAC using my expired Australian electronic visa (tourist visa)? Thanks. I have expired korean visa (2014) on my old passport that will expires this march 28 2017. I have a new passport already. But upon fill up the form my new passport and korean visa didnt match so ireplace it to my old passport number where my korean visa has. But the problem is the expiration date of my old passport. What will i do? It is ok to just put my old passport number but the expiration was my new passport? I also have the same problem. My old visas are in my old passport but I already have a new one right now. The dates won't match so my TAC can't be processed. What should I do? Hello! I'm kinda panicking right now. My flight to Taiwan is in 2 days. I have a used single entry US Visa that has already expired. Am I eligible for the ROC Travel Authorization Certificate? Please let me know. Thank you! I have not tried presenting an expired visa but from what I heard from other travelers, they had no issue using theirs. I think you can recheck on their website if they changed their requirements but afaik, yours can still be used. I have no visas or expired visa. I never been visit abroad before. to take a travel authorization certificate do I have to apply for visa first? Hi,im planning to visit taiwan aside from pictures,tickets,passports do i need cash/credit card to bring when applying for tourist visa? Is it required to have credit card when applying tourist vis a? Hi,im planning to visit taiwan this coming june. What was the easier way to travel in taiwan for vacation? Help me pls. Thank you! Hi! Question? 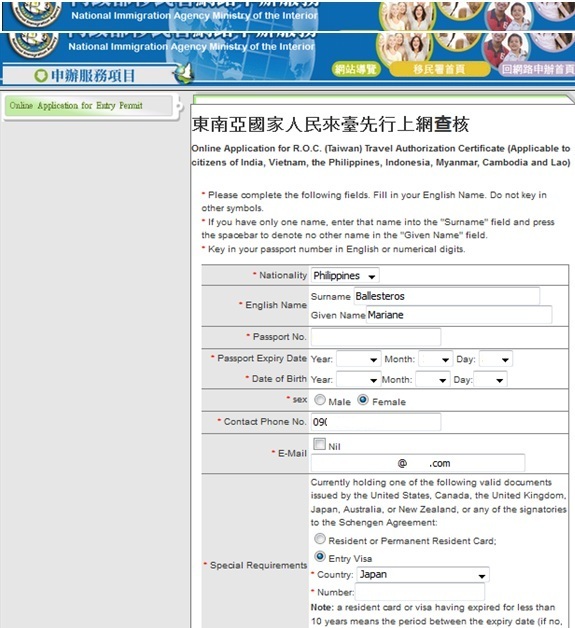 Can we still use expired Japan Visa to get an ROC Travel Authorization Certificate? Thank you in advance. hello, Im planning to stay in Taiwan for 1.5 month, do you think I can apply for TAC? I really need your suggestion. Hi, I believe the TAC is only valid for 30 days. Perhaps you can ask the embassy if they have a tourist visa that is valid for a longer period of time. I think the single entry only allows 15 days maximum stay. Hi, I applied (and printed) for a travel certificate last June 26, I just realized that instead of entering the Japan visa number, which is located in the upper right side of the visa, I entered the "Issue Number" which is basically NOT the visa number. Can I just reapply in the website for a new, corrected one? Hi Alder (Richard's? :P) there is no option for us to cancel the first one. I have read from other travelers that they just requested for another one with the correct details and had no problems. Hello. I've applied for Authorization Certificate and i've mistakenly switched my first name and my last name. Peroang pinapakita lng sa certificate is yung coomplete name. (instead of showing First name, Lastname. Mine is showing first name last name) would this be an issue? I tried applying for a new one but it keeps giving me the exact PDF that i've first applied. Have you tried switching browsers and trying to regenerate a new certificate on a different date? I'm planning to go to Taiwan next month and I wish to apply for TAC. I have an expired Japan visa (temporary visitor) and current (valid) Japan work visa. Is work visa valid as a required document for TAC? If not, should I use/submit my expired visa instead? Thanks. My parents have a valid Canadian Visa. Should we book a ticket first before applying for TAC? Or we could get TAC even though we haven't bought our flights yet?